Home > nurburgring > 7:25 at the 'Ring ? 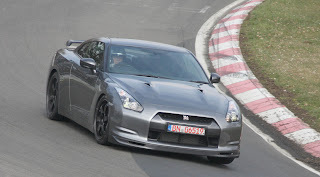 Nissan GT-R not fast enough? The company is preparing a harder performance version badged V-Spec - reawakening the 'Victory spec' designation that has long denoted the ultimate GT-R models since the R32. 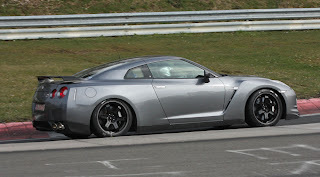 They say its 18 seconds faster around the ring than the regular GT-R. The tire on it looks like a true R compound to my eye.